Updated Sept. 28, 2017 at 5:16 p.m.
A woman ambushed her teenage daughter and executed her husband in their San Carlos condominium and let the bodies “rot” for three days while concocting a story that made her appear to be a hero, a prosecutor alleged Thursday. 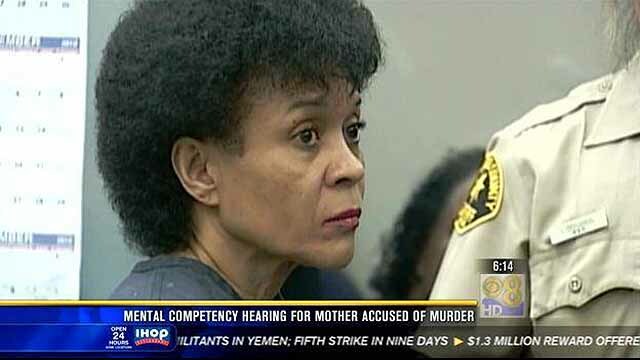 Regina Johnson, 60, is accused of fatally shooting her husband, Reuben, and 14-year-old daughter, Aaliyah, on the morning of May 30, 2012. She testified that she shot her 56-year-old husband after he killed their daughter. In her closing argument, Deputy District Attorney Nicole Rooney told jurors that “objective” physical evidence belied the defendant’s story, from cell phone records that tracked her husband’s movements to bullet trajectories and a jar of petroleum jelly that the teen was holding. Johnson is charged with two counts of murder and various weapons allegations. She faces 100 years to life in prison if convicted. In his closing argument, defense lawyer Neil Besse said while his client shot her husband, she was faced with the “unexpected” and “unthinkable” trauma of watching him shoot their daughter and is guilty, at most, of manslaughter. Following the closing arguments, jurors began deliberating Regina Johnson’s fate. They’re scheduled to take Friday off and resume Monday. She was described as being depressed over the loss of her job and her failing marriage. Aaliyah, meanwhile, was growing up, becoming more assertive and had a boyfriend, bringing new distance in the West Hills High School freshman’s relationship with her mother, according to trial testimony.